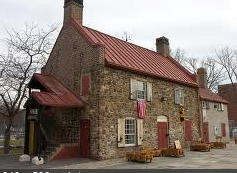 The Old Stone House has roots dating back to 1699 and played a key role in the Battle of Brooklyn! Visit it and see house it keeps the past alive and at the same time, is ahead of the curve with permaculture, art and events of importance! Open on weekends from 1-4, there's also a friday farmers market in the surrounding playfield. Or request an appointment!